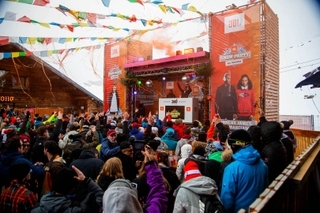 For the first time ever, JBL teamed up with its ambassadors from around the world to celebrate the power and legacy of JBL at the epic JBL Fest. Set to the backdrop of Las Vegas, JBL Fest was a weekend full of exclusive, one of a kind experiences amplified by the power of sound. 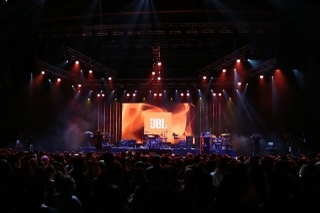 JBL Fest brought together 500 VIP guests, from 31 countries around the world as well as more than 2,000 consumers. 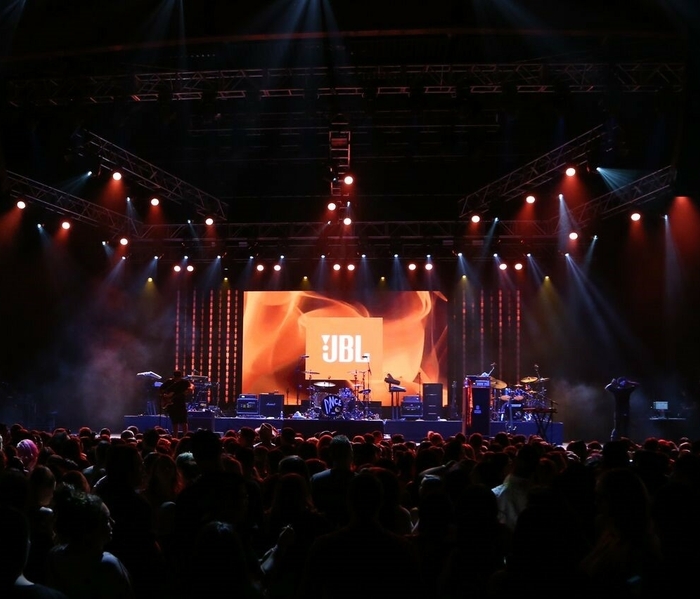 Designed to showcase everything JBL touches—from amazing-sounding products and professional installations, to the biggest sports stars and musical acts, JBL Fest sizzled all weekend long. The party kicked off in Los Angeles, where guests of JBL Fest’s Car Audio program toured HARMAN’s Northridge Experience Center, and met with engineers and audio experts to learn how JBL sound comes to life. Media hopped into a caravan of JBL Fest-branded Smart and Toyota vehicles and, inspired by their favorite music playing from the cars’ JBL audio systems, headed out to discover the Neon Museum and Red Rock Canyon National Preserve. While in Las Vegas, guests enjoyed The Science of Sound, where they saw the ins and outs of how JBL's epic sound fills a car cabin and experienced the Car Audio Chalk Talk, which provided a look inside the science and art process that engineers use to bring signature JBL sound to cars. 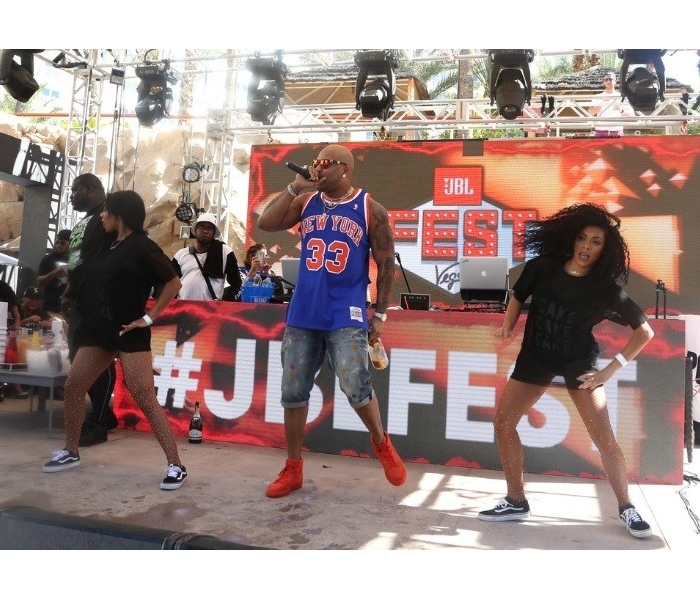 The weekend also marked the first-annual JBL Tech Fest. This event showcased the latest product innovation roadmap from the Harman Lifestyle Division in the voice assistant and home audio spaces to key retail partners from around the globe. 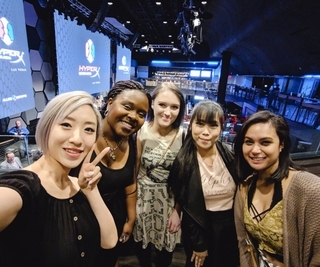 Additionally, chosen customers were given exclusive tours of the new JBL suites at the Hard Rock Hotel—a set of permanent installations for high-profile hotel guests that highlight the past, present and future of JBL with exclusive artifacts, photography, artwork and new product demos. For the rest of the weekend, it was time to party. Thursday night started it all with the JBL Platinum Party hosted by 79 time GRAMMY® nominated and 29 time GRAMMY® winning artist Quincy Jones. Quincy greeted the crowd while Skylar Grey took to the piano for an acoustic set of some of her greatest chart toppers including “I’m Coming Home” and “Love The Way You Lie.” For the rest of the night, guests enjoyed a picturesque view of the iconic Fountains of the Bellagio as they soaked up the Vegas Skyline. 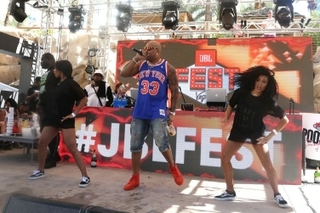 On Friday, the party heated up at JBL Poolside, held at the Hard Rock Hotel & Casino's Rehab Beach Club. The day was full of nonstop entertainment with incredible music performances by Dame D.O.L.L.A. (NBA superstar Damian Lillard), Ivan Dorn and Flo Rida. Celebrities like Kate Upton, Kendra Wilkinson, Karina Smirnoff and more were sighted dancing poolside. Guest and celebs posed for photos by Getty photographer Kevin Mazur, while playing corn hole, dancing to top of the charts hits and taking in the heat of the July Vegas sun. JBL Live! rounded out the weekend with bright lights, pulsating music and incredible live performances by GRAMMY® nominated music icon Demi Lovato and DNCE (featuring Joe Jonas). DNCE got the show going with hits like “Cake By The Ocean” and “Toothbrush.” Moments later, Demi performed her new single, “Sorry Not Sorry” to the adoring crowd. Fans around the world joined in on the fun as her performance of the new song was broadcasted live for the first time ever on YouTube. A perfect conclusion for a July concert, Demi closed the show with her megahit “Cool For the Summer." To see more from this epic weekend, check out #JBLFest on Twitter, Instagram and Facebook, and follow @JBLAudio for exclusive pictures and videos.